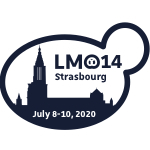 The next "Levures, Modèles et Outils" meeting (LMO14) will be held on July 8-10, 2020 at the University of Strasbourg in France. This meeting was launched in 1990’s to foster the scientific exchanges and collaborations between the French-speaking community (France, Switzerland and Belgium), working on yeasts as research organisms. It is now an international scientific meeting, which is held biennially. Very friendly, this meeting allows exchanges and facilitate interactions between participants. It also provides a valuable forum for graduate students and postdocs to present their research to an international audience and meet scientists from the academic and industrial sectors. This confrontation of researchers from different horizons and cultures brings to all new insights, sprouts new ideas, and opens new ways of collaborations.